Lisa Grunwald is the author of the novels Whatever Makes You Happy, "New Year's Eve," The "Theory of Everything," and "Summer." Along with her husband, " BusinessWeek" editor in chief Stephen J. Adler, she edited the bestselling anthologies Women's Letters and Letters of the Century. Grunwald is a former contributing editor to "Life" and a former features editor of "Esquire. "Like T.S. Garp, Forrest Gump or Benjamin Button, Henry House, the hero of Grunwald’s imaginative take on a little known aspect of American academic life, has an unusual upbringing....Grunwald nails the era just as she ingeniously uses Henry and the women in his life to illuminate the heady rush of sexual freedom (and confusion) that signified mid-century life. 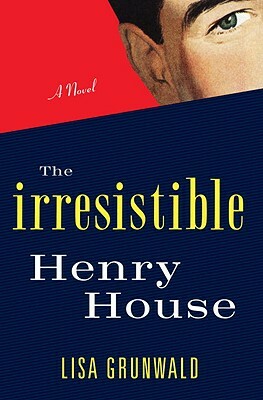 "—Publishers Weekly, starred review and "Pick of the Week"
"The Irresistible Henry House is a soaring, heartfelt novel that spans three decades and an entire continent. Grunwald, author of several novels including Whatever Makes You Happy, creates a wholly original and all too human character in Henry House. Despite his quirks and shortcomings (or perhaps because of them), Henry is one of the most likeable, relatable characters in recent memory." "A smart, enjoyable read that will leave you with a pleasing thought: Even for guys who just aren't that into anyone, there's hope." "Imaginatively picaresque and often gut-wrenching"
—A More Magazine "Great Read"
"This welcome variation of coming-of-age tales shares with Grunwald's previous novels a compelling web of characters and emotions that will please the author's fans and readers who are interested in novels with emotional depth." "A rueful but wry case study of nurture as nightmare. "